Noga, an Israeli harpist based in the Dutch city of Arnhem, confronts hidden truths about herself during a visit to Jerusalem following the death of her loving father. The 42-year-old Noga has agreed to stay for three months in her family's old apartment in an increasingly Orthodox section of Jerusalem while her mother tries out a retirement home in Tel Aviv. Noga's younger brother, Honi, a media producer, devised the plan. To keep Noga busy, he sets her up as an extra in various productions, among them an outdoor staging of the opera Carmen. The drama onstage is nearly met by the drama off it when Noga's ex-husband, Uriah, shows up. Though he's remarried and the father of two, he's still furious at her for her refusal to have children. Judging from her hilarious efforts to prevent the Hasidic kids from the apartment upstairs from brazenly sneaking into her mother's place to watch TV, she may not be cut out for motherhood. Noga reserves her greatest love for music; nothing thrills her more than joining her orchestra in an upcoming performance of Mozart's “Concerto for Flute and Harp.” But as hinted at by her father's advice to always keep an eye out for Venus, from which her Hebrew name derives, the universe has its own designs on her. The ease with which Yehoshua captures the inner life of his quirky heroine in all its lush undertones and self-enforced solitude is special. For the great author of Five Seasons (1988) and The Liberated Bride (2003), this is a comparatively short book. But its terse, offhand narrative is rich in reflection and personal truth. 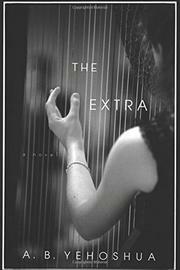 Yehoshua's masterful portrayal of a female musician at a pivotal moment in her life is deep, unpredictable, and, in the end, surprisingly suspenseful.